30 weeks, 2 lessons by 45 minutes: starting 6 October 2013, finishing 6 July 2014. This is 30 classes with a workload of 60 academic hours; additional 30 hours are allocated for self-study work. 4. Course Conclusion and Award of Certificates. The Course is planned to conclude on Sunday 13 July 2014. 5. Main Features of the Course. a) The Course is organised within the framework of the Orthodox education Programme of the Bulgarian Church of St John of Rila, the Miracle-Worker, in the United Kingdom, and is intended for every Christian who wishes to obtain knowledge about their faith: both Orthodox and every other Christian. It has got the blessing of His Eminence Metropolitan Simeon and the parish’s priest Fr Simeon. b) There is one free Sunday in each of the semesters; this Sunday may be used for the Course classes if it happens that a class has been missed during the semester. The dates of each class will we announced well in advance and the Course participants need to accurately follow the announcements. c) During the Course, the participants will receive educational materials for free to be used in the classroom (mostly, these will be sheets of paper with brief overview of the relevant topics) and at home as part of homework tasks. Some of these materials will be sent to the emails of the participants. This fact requires that every participant has an email account and regularly checks its content for study materials. d) To a great extent, the benefit from the Course depends on the active participation of the learners because it aims to give not only theological but also practical assistance where the participants could acquire right skills and habits in their practicing Orthodox spirituality and their readiness to fulfil the missionary tasks the Christian Church requires from her members in today’s world. Active participation means also readiness on the part of the participants to learn the rules of prayer of the Orthodox Church and to acquire experience in her worshipping ministry, especially in her liturgical life, and it also means following the requirements of Christianity for correct prayerful life in general. e) The most active Course participants are invited to write an essay on a topic chosen by themselves which, under the supervision of the lecturer, could obtain more theological-ecclesiastical form and could be published in a Bulgarian publication in the United Kingdom. This would allow those who are willing to learn more about Christianity to keep connections with the Christian Church which could ultimately draw them to the Church. 6. Aims of the Course. 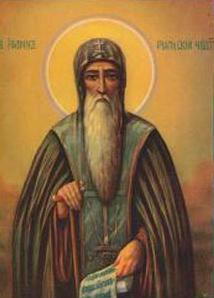 a) To continue the good practice of Orthodox education in the parish of St John of Rila, the Miracle-Worker, and also to attach theological considerations to the way the Orthodox faith and the Orthodox way of life are explained and practiced; this also applies to the Christian faith and way of life in general. b) To give theological knowledge on the two main subjects which in most adequate way should be linked with the church life of the Course participants as Orthodox Christians. c) Through the two main subjects, to urge the participants to be more active in the church life of the parish while making their participation in the worship and in the holy liturgy more recognizable and acute and more ecclesiastically-oriented. d) To encourage the active participants to seek answers to the Course questions and to try to formulate them in theological terms so that these formulations become essays which could be published in the press or the internet.